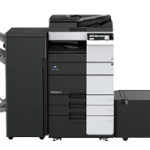 Today’s networked world demands a document solution with greater speed, power and productivity -- and the Konica Minolta Bizhub 227 from Athens Digital Systems gets the job done. 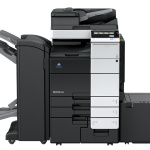 Today’s networked world demands a document solution with greater speed, power and productivity -- and the Konica Minolta Bizhub 284e from Athens Digital Systems gets the job done. Today’s networked world demands a document solution with greater speed, power and productivity -- and the Konica Minolta Bizhub 287 from Athens Digital Systems gets the job done. 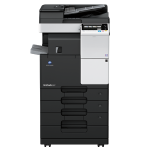 The Konica Minolta Bizhub 364e from Athens Digital Systems puts you in total control, with a color touchscreen that’s as simple to operate as a tablet. 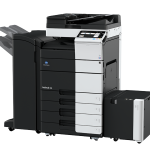 Ideal for growing businesses with 36 ppm print/copy output -- and the Konica Minolta Bizhub 368 from Athens Digital Systems never slows you down. 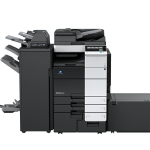 The bizhub 458 multifunction printer is the perfect device for customers with high-speed printing and scanning demands -- and the Konica Minolta Bizhub 458 from Athens Digital Systems gets the job done. 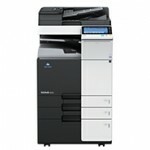 Achieve higher productivity with the bizhub 558 black and white, multifunction, high speed printer. 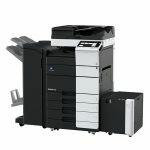 Combined with the enhanced options for flexibility and security -- the Konica Minolta Bizhub 558 from Athens Digital Systems adapts precisely to customer's requirements. 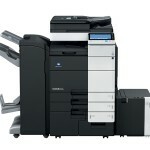 The Konica Minolta Bizhub 654e black and white office printer takes a total-system approach to growing your business. 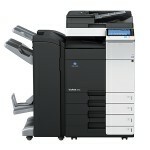 The Konica Minolta Bizhub 754e from Athens Digital Systems brings you the solution of a printer, copier and scanner all in one for a total solution that speeds your workflow. The bizhub 808 features a large color touchscreen that’s as simple to use as a familiar tablet, an enhanced control panel with a new mobile connectivity area, and control for hardware and software functions. 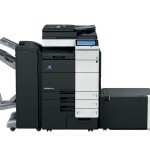 -- and the Konica Minolta Bizhub 808 from Athens Digital Systems provides the total solution. 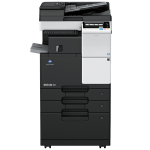 The bizhub 958 multifunction printer delivers high-speed B&W output that economically meets the needs of busy offices and many CRD environments -- and the Konica Minolta Bizhub 958 from Athens Digital Systems gets the job done.